Washington may be a College Football Playoff contender, but their non-conference schedule is not worthy. Our college football preview coverage continues with a look at the non-conference games being played by Power 5 teams this fall. This week, it’s the Pac-12. The Pac-12, like the Big Ten and Big 12, only plays three non-conference games because its teams play nine conference games. 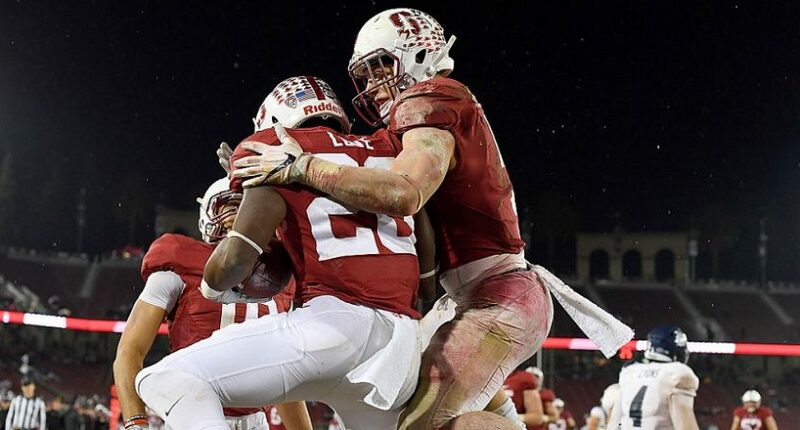 The conference has several preseason College Football Playoff contenders, most notably Stanford and USC (though there are a few other dark horses, like Oregon). The Tar Heels might have higher expectations than Cal coming into 2017, but this is still a home-and-home between two programs of relatively equal caliber. These are the games I love to see. I’m okay with one FCS game, especially when the rest of the schedule is this good. The Rebels might be significantly better than Cal in recent years, but I won’t criticize a P5 team that plays other P5s in two of its three nonconference games. Two out of three games against P5s, and good ones at that? Cal might not be expected to be good this season, but it gets full props for this schedule. The Ducks start out with an FCS opponent. I’m not happy about it, but their other two games are good enough that I won’t complain too much. This is one of my favorite series currently scheduled. It’s two top-tier P5 teams playing a home-and-home. I love it. Oregon is traveling to Laramie for a game it almost certainly expected to be a cakewalk when it was first scheduled. Craig Bohl has done an amazing job, though, and Wyoming might be one of the favorites in the Mountain West this year. All of a sudden, a road trip to Laramie doesn’t seem like such an easy win. Still, road game against a good Group of 5 team? Gets a good grade from me. This is basically the schedule that I expect from good Power 5 teams that only play three nonconference games. One Power 5 of equal stature, one good Group of 5 team, and one cupcake. Nothing to complain about here, other than the fact that the cupcake is a FCS team and not a bad Group of 5 one. The Rams play at Hawaii this year, so the teams took the option to move their opening game up to “Week 0.” Still, I like the idea of a not-great Power 5 team playing a pretty good Group of 5 team on the road. It’s an FCS game. I’m okay with that right now. This is a good home-and-home between two programs that were at about equal strength when the games were scheduled. It’s what I love to see. Oregon State is a program in a bit of trouble right now, but they’re playing a schedule I like to see. One cupcake win, one decent Group of 5 team, and one decent P5 team. Stanford is also playing Week 0 by traveling to Australia. While the concept is really cool, I wish they were playing someone much better than Rice. This could be a recruiting trip to southern California for Stanford. Or it could be a great road game against one of the under-the-radar premier Group of 5 programs of this decade. The Irish might have been disappointing last year, but this game is still a highlight on Stanford’s schedule. This is what I love. One cupcake (but against a poor FBS team, not an FCS one), one very good Group of 5 team, and one good P5 team. This is what all potential Playoff contenders should be playing. This home-and-home might have been good when it was scheduled. Washington was still a program in turmoil and Rutgers was still decent. My, how the tables have turned. Now Rutgers is an awful game for a Playoff contender to be playing. Once upon a time, playing Fresno State would be a schedule boost. Now, though, the Bulldogs will probably be one of the worst teams in FBS. The Huskies are expected to be a Playoff contender. They’re certainly not scheduling like it, though. I honestly don’t know the toughest game on this nonconference slate; though it would only be throwing a small amount of shade at Rutgers to say that it’s Montana. The nonconference slate gets better next year, though. At least there’s that to look forward to. Washington State starts with an FCS team. That hasn’t proven to be a smart decision in the past. I absolutely consider scheduling a home-and-home with Boise State as a P5 game, at least in terms of schedule value. The Broncos might not be what they once were in the Kellen Moore glory days, but this is still a top program that has more risk than upside in scheduling. Nevada is a decent Mountain West program. It’s not a bad third team to schedule, but not a great one. The Cougars play one great nonconference game (Boise State), one cupcake, and one not-bad Group of 5 team. This is a decent schedule for Mike Leach’s team.